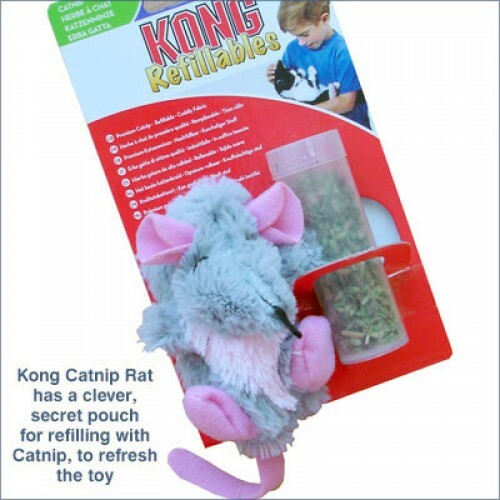 The cuddly fabric 'catnip rat' features a clever little pouch concealed underneath, where fresh catnip can be added again and again. Includes a tube of top quality, north american catnip. Your cat will love grappling, tossing and pouncing with this! 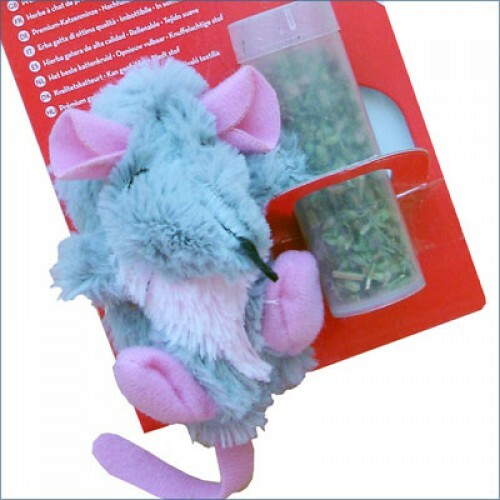 Catnip Rat comes complete with a tube of catnip, but if your cat is a real `catnip junkie' why not buy a larger pack of catnip on the shop while you are here - (just click on the 'Catnip' category).